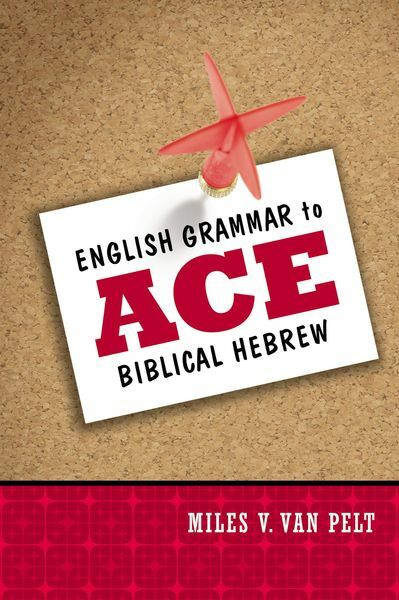 English Grammar to Ace Biblical Hebrew enables students of biblical Hebrew to grasp the basic concepts of English grammar that are needed in order to be able to transfer these concepts to biblical Hebrew. One of the biggest problems students encounter learning biblical languages, especially Hebrew, is that they have either forgotten or simply do not know their English grammar. Concepts such as verb tense and voice, relative pronouns, antecedents, adjectival substantives, and the like, sound like familiar terms, but may seem foreign when it's time to put them to practice. With chapters such as, "To Be or Not To Be, that is the Infinitive" and "Pronouns: Grammatical Stunt Doubles," this book is both clever and engaging. All Hebrew students will become better translators--and ultimately better pastors and leaders--with the help of this book. Tips for studying Hebrew, a glossary, and a list of additional Hebrew resources is also provided. This book is a companion to English Grammar to Ace New Testament Greek by Samuel Lamerson.